Lightfoot and Preckwinkle claim to be progressives but they stayed away from the front lines during the great fights of the Rahm years. For the past few days, I've been barraged with calls and e-mails from friends of the progressive persuasion, extolling the virtues of Lori Lightfoot or Toni Preckwinkle. And if positive arguments don't work, they fall back on bashing the opposition. It's as though the great Harold Washington had magically reappeared in the person they support or their opponent had been taken over by one of those sewer-dwelling, scissor-­wielding creatures in Jordan Peele's Us. Great flick, by the way—run, don't walk, to see it. Look, I understand we've entered the frenzied final moments of a campaign, where folks are losing their collective minds with the urge to glorify the home team and demonize the opposition. And I know that if you can't convince the voters of your candidate's virtues, the next best thing is to scare them with a distorted caricature of your opponent. And I also know that a lot of progressives feel compelled to make good on the endorsement gamble they probably should have thought twice about making in the first place. But as for one candidate clearly being more "progressive" than the other? That's a different story. With Preckwinkle you have a pragmatic and cautious Democratic Party chieftain who rose to the top by cutting deals with the Daleys and Burke and Berrios. And in Lightfoot we have a classic Dem—sort of like Chicago's own Hillary Clinton. A corporate lawyer from a downtown firm who makes a killing representing the 1 percent. I'm not saying there's anything intrinsically wrong with either type. Hell, I've voted for candidates similar to Lori and Toni many times over the years. It's a big world out there, people. Not everyone's like me. So you got to learn to get along with all kinds of different people. I must admit that in the past, when forced to choose, I've been known to favor the Machine creature. After all, I'm the guy who proudly cast my vote for the guy in a coma—John Stroger—over Forrest Claypool in 2006. There are some north-siders who will never forgive me for that transgression. 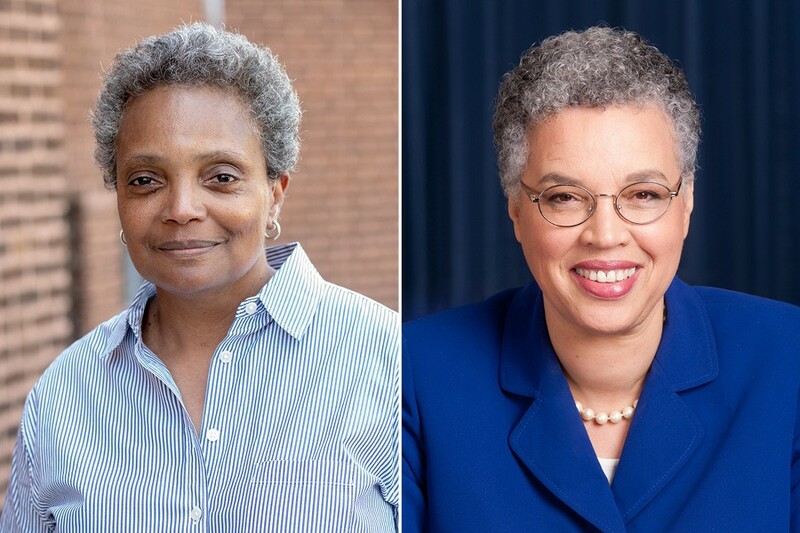 But, please, don't try to tell me that Lightfoot or Preckwinkle is a champion of progressivity. Man, I can't think of one showdown issue of the Rahm era in which either candidate stood on the front lines. And there were a lot of front lines that could have used some high-profile standing in on. Mental health clinic closings? Nope. Teachers' strike? Nada. School closings? Unh-uh. Marriott/DePaul basketball arena in the south loop? Don't make me laugh. Demanding that Rahm release the Laquan McDonald video? Yeah, right. The mayoral election of 2015? Man, not only wouldn't Toni run—even though progressives begged her—but she couldn't even bring herself to endorse Chuy Garcia, one of her closest allies on the board. And Lori? She was on Team Rahm back then—the Chuy race was right before she became Rahm's Police Board appointee. She wouldn't have touched that election front line with a ten-foot pole. For me, the fundamental issue over the last 20 years has been how to slice up the pie. In the Rahm years, the biggest slices went to the folks who needed it least, as Mayor Rahm resorted to more regressive forms of taxation while dishing out more economic development dollars to relatively wealthy gentrifying communities. There's no strong indication that either candidate will break from the Rahm/Daley positions of using property taxes to fuel gentrification and starve our city of the money it needs for everything from mental health clinics to schools. Lightfoot says all the right things about reforming the TIF program. But I can't say for certain that she'd back up her talk, as she's never served in office. She has no track record. I must note that since round one of the elections, some of Rahm's backers have donated to Lightfoot's campaign. Not sure what that means in regard to how a Mayor Lightfoot would slice that old economic-development pie, but it's not exactly reassuring. As for Preckwinkle, she's hardly Eugene Debs, people. Since taking over as president of the County Board, she's never stood up to a TIF deal, even though they divert property taxes from the county. As the Fourth Ward alderman back in 2007, she was one of the biggest flag-wavers for Mayor Daley's Olympic boondoggle, including spending $91 million for Michael Reese Hospital. The city was going to build the Olympic Village there—now, it's a big chunk of vacant land. In recent years Preckwinkle backed Mayor Rahm and former Governor Rauner in their effort to woo Amazon—which would have cost at least $2.2 billion. Only lately has she started speaking up against the Lincoln Yards deal. And even then, she didn't use her position as County Board president to rally opposition when the matter recently came before the Joint Review Board. Instead, the county's representative didn't show up to the Joint Review Board meeting when Lincoln Yards was approved. There's still one last hurdle Lincoln Yards must clear before we're on the hook for shoveling $1.3 billion in property tax dollars over to Sterling Bay, the developer of the project. In April, the lame duck City Council, under a lame duck mayor, will vote on whether to create the actual Tax Increment Financing district that will fund Lincoln Yards. Here's hoping that whoever wins—either Mayor-elect Lightfoot or Preckwinkle—shows up to strongly urge aldermen to defer the matter until she at least has a chance to study the deal. After all, that $1.3 billion is money our next mayor won't be able to spend on progressive things the city really needs. Unable to afford school janitors, the city makes the first of many million dollar payments to buy Michael Reese hospital from Medline.